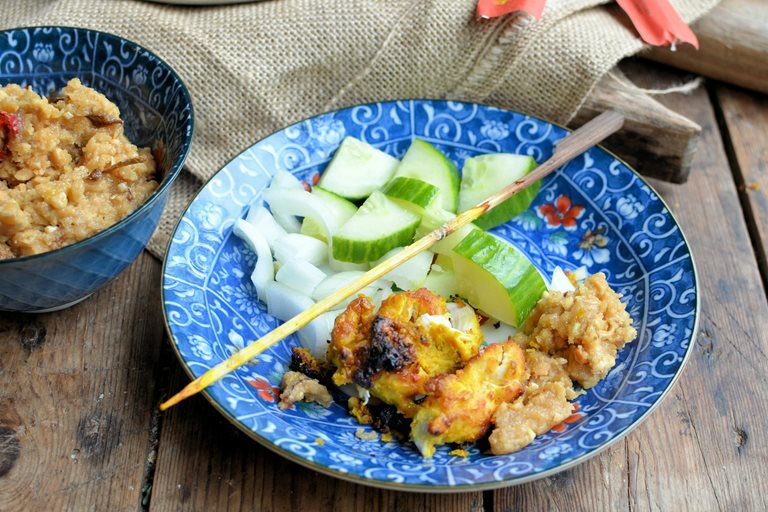 These delicious satay chicken skewers are a wonderful way to recreate a Singapore classic at home. Easy to make, they are great to serve as finger food at a dinner or cocktail party. I have been to Singapore many times, and more recently I was there in June of this year; part of the charm of this small Far East nation is its amazing street food. You will find “chow halls” and streets dedicated to all manner of fast food wherever you go in Singapore, with families and business men rubbing shoulders with each other as they enjoy their bowl of Laksa or Beef Kway Teow, Chilli Crab and Satay......you are never more than a few feet away from exceptional food. 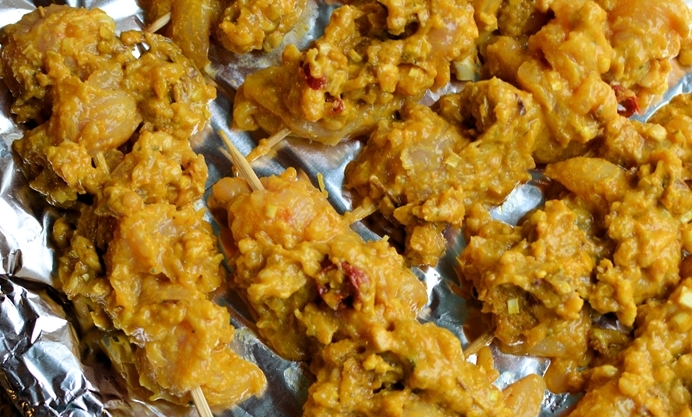 One of my earliest memories is of eating chicken satay straight from the grill in a little “shack” in Shatin and ever since these spicy skewers have held a special place in my heart. In the absence of actually being in Singapore and with a longing to eat satay, I have decided to try to replicate the recipe at home. 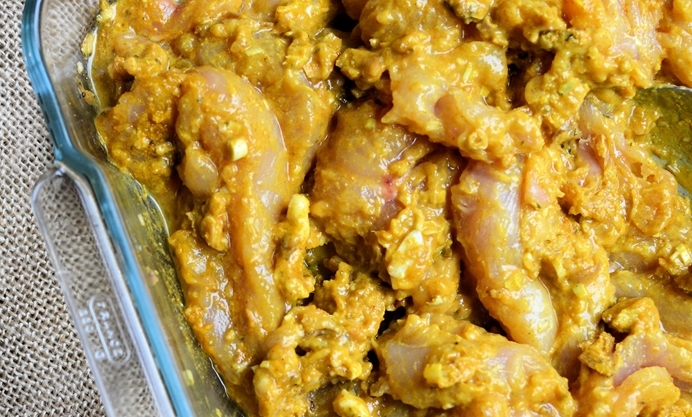 However, the recipe is quite involved and requires numerous spices and herbs. 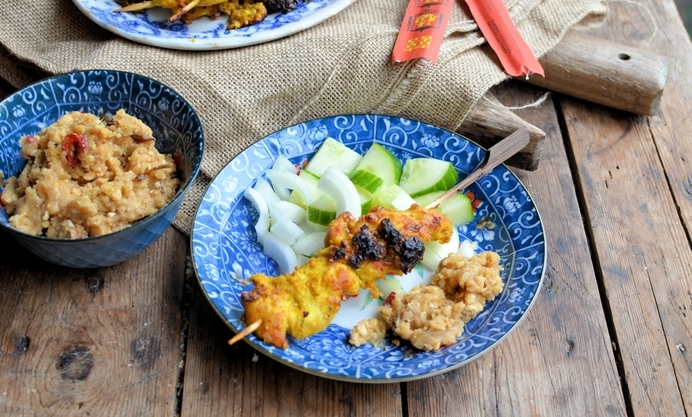 I therefore decided to create my own simpler version that won’t challenge anyone’s pantry, but that still retains the “spirit” of an authentic chicken satay. For this recipe, you will need 8-12 bamboo skewers soaked in water before using.